We are delighted to announce the launch of The Limes, a new development of 41 two, three and four bedroom homes in Leyburn, North Yorkshire. The sales and marketing suite at The Limes will be opening this weekend, 27-28th January, and nine properties will be available to reserve as part of the first phase of the development. Prices range from £232,500.00 to £337,500.00 for these properties. The Limes is situated in a quiet location within Leyburn, surrounded by views of open countryside and only five minutes from the town centre. The development has been sympathetically designed to reflect the surrounding area with a range of semi-detached and detached properties available, including a number of highly desirable bungalows. 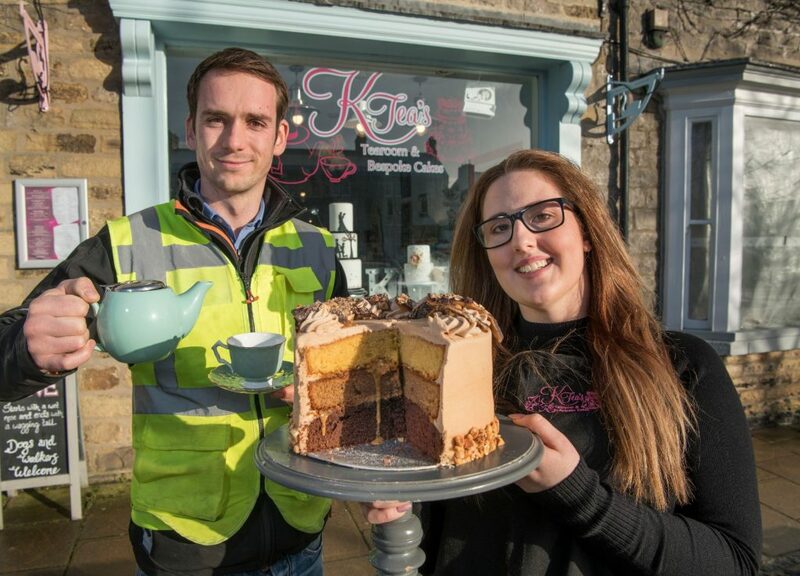 Visitors to the development this weekend will enjoy light refreshments provided by Katie Rhoades, owner of KTea’s Tearoom in Leyburn. Katie is a customer of Yorvik Homes having recently purchased a property at The Meadows in nearby Spennithorne. Katie was able to benefit from an affordable property scheme in association with Richmondshire Council. Twelve properties at The Limes will be available on the same scheme which offers eligible buyers the opportunity to purchase the property at 70% of the ‘Open Market Valuation’. These properties will start at around £120,000.00 and will be released for sale at a later date. Our Sales and Marketing suite will be open Thursday to Monday, 10.30am – 5pm from the 27th January. Visit The Limes development page or to find out more contact Julia Cairns on 07889 806537.